Cartridge released on the 1988/01/31. 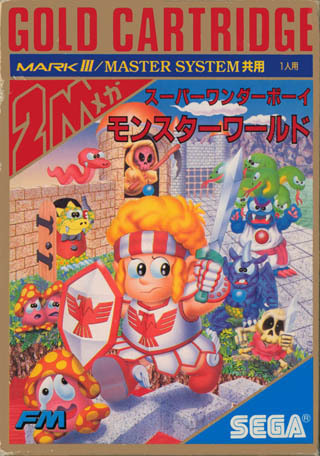 Original japanese version of Wonder Boy in Monster Land. When run on an export system, this version has a slighty different english script and some text drawing bugs. It is also more difficult than the version released in the west.